Ready to Let the Good Times Roll? It is Mardi Gras time. 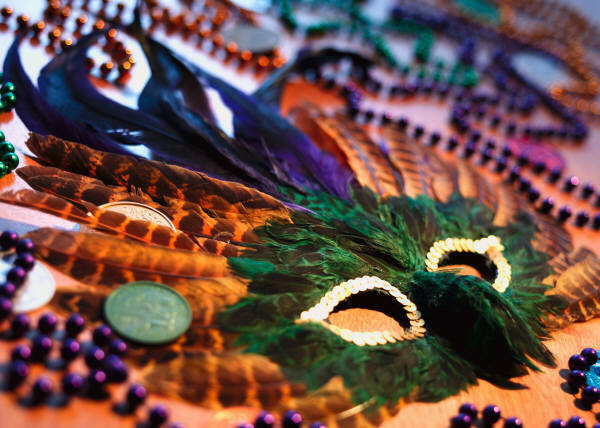 French for “fat Tuesday,” Mardi Gras is the last hurrah before Lent begins on Ash Wednesday. A time for eating rich, fatty foods before the ritual fasting. If you’re in New Orleans, Louisiana, the city synonymous with Mardi Gras, it’s also a time of revelry. There are parades along St. Charles Avenue. 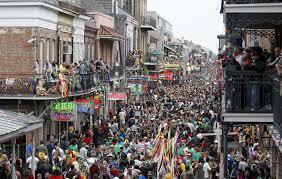 People stroll through the French Quarter where all manner of fun abounds. Organizations, known as krewes, sponsor parades and balls. At midnight, the police halt the festivities by riding their horses down Bourbon Street and announcing the party’s over. The street sweepers follow pushing the crowds toward home. It is now Lent. Fat Tuesday celebrations aren’t limited to New Orleans. While not observed nationally throughout the United States, traditionally ethnic French cities and regions throughout the country have notable celebrations. King’s cakes, beads and masks even appear here in our little corner of the Rio Grande Forest. So are you celebrating Mardi Gras?